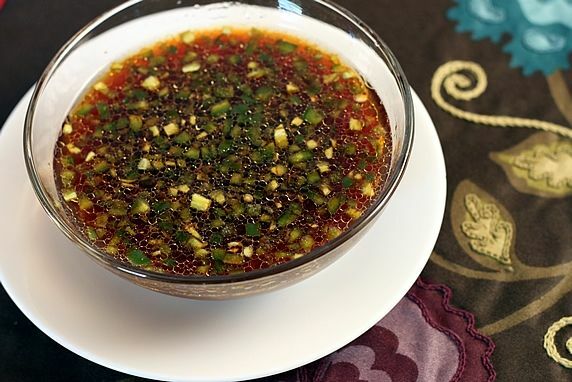 This flavorful sauce can be used for dipping or drizzling with lettuce wraps, pot stickers, dumplings, or spring rolls. 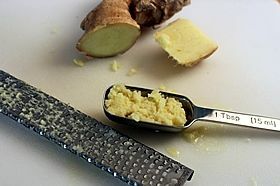 It also makes a great meat marinade or an added flavor boost to Asian stir fries and fried rice. Mix all ingredients and chill in fridge for 1-2 hours. If it tastes too salty, add another dash of honey. 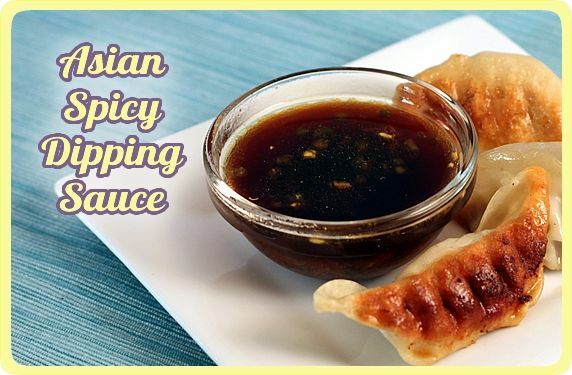 A dip for pot stickers or dumplings. A dip for spring rolls. 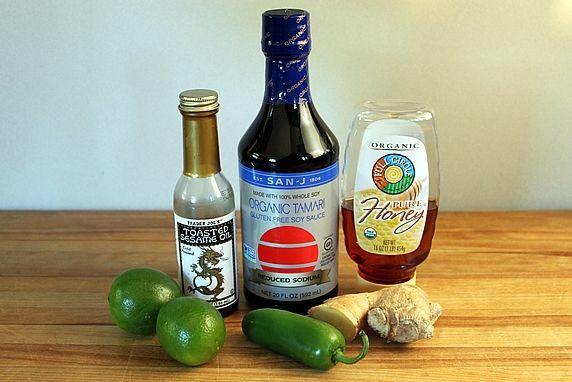 A marinade for grilled or stir-fried meat. A flavor boost for stir-fries and fried rice. A dip or drizzle for my Asian Turkey Lettuce Wraps. 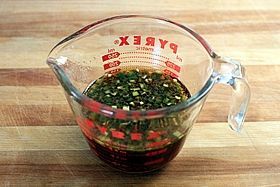 A base sauce for stir-fries and fried rice. It's a snap to make. Here's how. Step 2. 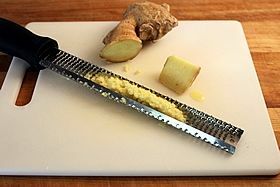 Peel and grate the ginger. I use a Microplane. Step 3. 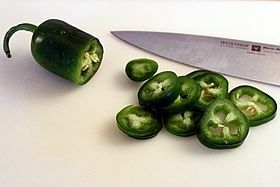 Cut half a jalapeno into thin slices. Then dice it. I like it spicy, so I leave in the seeds and membrane. For a milder version, remove seeds and membranes before cutting. (I recommend wearing plastic gloves when handling hot peppers.) 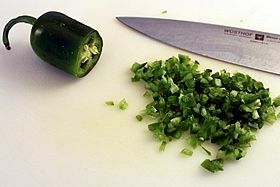 You can substitute crushed dried hot chiles, if you prefer. Step 4. Juice the limes. 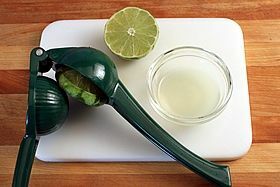 I use one of these lime squeezer gizmos. Step 5. Combine all of the ingredients and stir. Sometimes I throw a minced garlic clove in there, too. Done! Let it chill for an hour or two for better flavor. If it tastes too salty, add another dash of honey. It will keep for a few days in the fridge. 1. On a condiment tray to accompany an Asian meal. 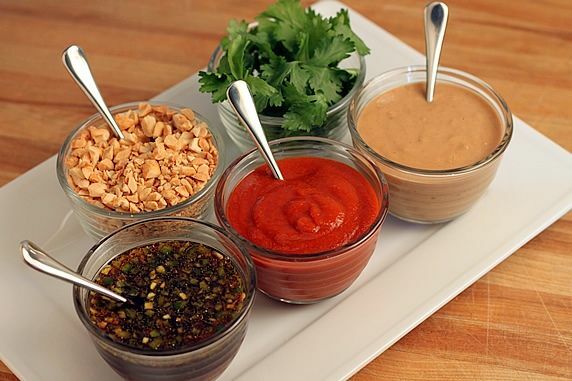 Here it's paired with chopped peanuts, cilantro, sriracha sauce, and peanut sauce. 2. With Asian Turkey Lettuce Wraps. 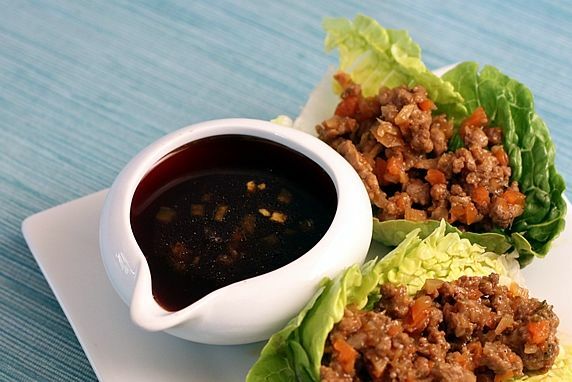 Dunk your lettuce wraps as you eat, or drizzle on the sauce. Either way, have napkins nearby. It's messy--but in a good, delicious, running-down-your-chin way! 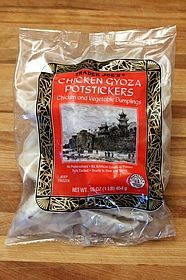 Using frozen chicken pot stickers from Trader Joe's (pictured below)--they're delicious. 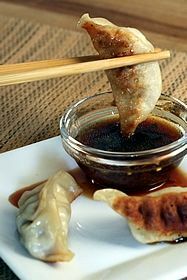 Making pot stickers from scratch using this recipe from Fine Cooking. They take awhile to make, but they're fantastic. I've made the shrimp/pork combination, and with pork only. Both delish. I use store-bought wonton wrappers instead of making the dough--much easier and faster that way. 4. 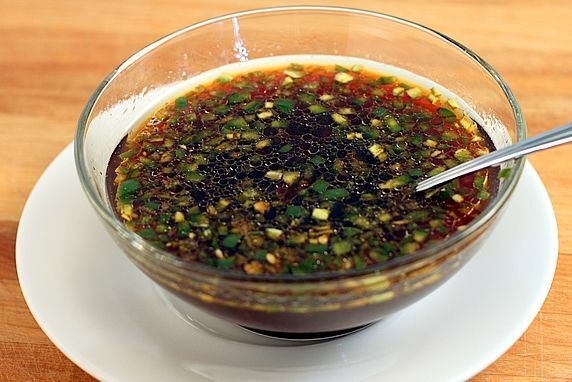 As a marinade for grilled or stir fried meat. 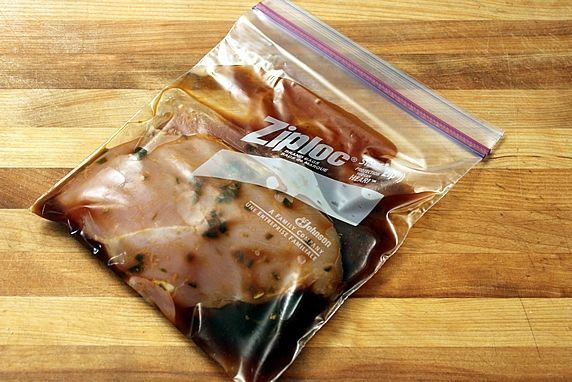 Here's a chicken breast marinating in the sauce. Let's face it, there are few things less appetizing than raw chicken. It may not be pretty, but it does make the chicken taste great! Let it marinate for at least 30 min, and up to several hours. I've also used the marinade on flank steak, grilled it, and sliced it real thin. Yum. 5. Add to stir-fries and fried rice. I don't have photos of these, but I often will add some of this sauce to these dishes for a flavor boost. Like I said, it's a versatile sauce. What would you use it for?